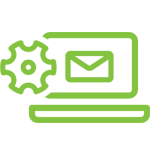 Get even more from SharpSpring with integrations, products, and services that extend the power of marketing automation. Deep integration built directly into SharpSpring. Simple web-based integration that passes data between compatible platforms. Two-way data syncing between compatible platforms. Veeqo is a complete management platform helping retail brands sell and ship products everywhere by automating all their processes. Plecto allows you to build dashboards that visualize business goals and results in real-time. Easy Projects is a cloud-based collaborative work and project management platform ideal for fast-moving marketing teams that have outgrown their current project or task management tools. AdRoll is an E-commerce Growth Platform helping over 37,000 brands grow revenue through seamless marketing and ads. Hello Bar is a service for websites that allows you to design messages for your visitors. Paperform enables anyone to create beautiful online forms, payment pages, and product pages, quickly and intuitively, without any technical knowledge. TradeGecko is a powerful cloud-commerce platform. PomoDone App is a personal productivity management solution. CloudCart is an all-in-one e-commerce platform. StoryChief is all-in-one content distribution and collaboration tool that allows you to co-create, plan, optimize, and distribute articles to different publishing channels from one place. Ravetree is an award-winning work management software platform that empowers teams to deliver work faster, be more informed, and spend less time searching for information. Bookmark is a website creation platform that enables users of all skill levels to create personalized websites. FullContact is the world’s open, cloud-based identity resolution and insights platform that enables people to fully identify, describe, and authentically connect with each other, human to human. SimpleTexting is an SMS marketing and business texting platform. Omniconvert is a powerful suite of tools that integrate the major components of conversion optimization. Float’s intuitive drag-and-drop interface and real-time collaboration makes scheduling your team simple. Wild Apricot helps thousands of organizations spend less time on administrative tasks, like processing payments and updating Excel files, and more time on growing their membership. 24Sessions connects you to customers via video-chat, effortlessly. 123FormBuilder’s mission is to empower its customers to collect, manage, and communicate data with this adaptable and efficient platform. The most flexible fundraising software for churches, nonprofits and charities. TXTImpact is a leading US provider of cloud-based business text messaging and SMS marketing solutions. WriterAccess is a freelance management platform that enables businesses to find freelance writers, editors, strategists, and translators. Scoop.it is an advanced content engine that monitors content from all across the web and applies artificial intelligence to understand its meaning and measure its impact. Whether you’re drop-shipping, selling eBooks, or bringing your coaching business online, Selz makes it seriously simple to become a digital entrepreneur. Vtiger CRM works with over 100,000 businesses, helping their sales, marketing, and support teams create delightful customer experiences that measurably improve business revenue, customer loyalty, and team performance. Accredible is a digital certificate and badge designer that allows you to create, design, and deliver all of your achievements. InvoiceBerry is an invoicing solution that allows you to create and deliver invoices in seconds. Databox is a business analytics platform built to help you understand what’s going on with your business. Qwilr helps you create intuitive proposals and other sales documents. LeadBoxer is an all-in-one Lead & Customer Data Platform for sales and marketing. Survicate is a feedback collection platform that allows you to use collected insights to increase conversion rates and customer satisfaction. Deadline Funnel is a tool that increases conversions for digital marketers by using personalized deadlines, which help generate more sales and business growth. Lusha helps sales, recruiters, and marketing professionals find B2B contact information from anywhere on the web, within just one click. Upcall is the fastest way to qualify, engage, and nurture your leads over the phone. Bonjoro easily integrates with your existing marketing tools to let you send personal videos to customers at just the right moments. Follow Up Boss is simple sales software for real estate teams that helps make the sales process and follow up as efficient and effective as possible. Yocale is the online scheduling software tailored to your business. Picreel is a conversion rate optimization solution for websites. 10to8 is a simple, powerful, and professional appointment scheduling software that makes appointments happen. LeadSync is a sync service that allows you to synchronize leads from Facebook Lead Ads with your CRM and can send you email notifications whenever you generate a new lead. 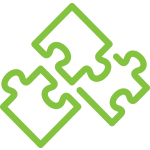 Pipefy allows managers to control complex tasks and quickly automate processes, workflows, and approvals. POWr Form Builder allows you to build professional, easy-to-use, and versatile forms. Mixpanel is a user analytics platform that surfaces insights from your customer data that help you make smarter decisions and act faster to drive value for your business. SE Ranking is a cloud-based SEO platform for online marketing professionals. Blendr.io is a cloud-based integration platform that offers easy-to-use tools for end-users, advanced features for citizen integrators, and comprehensive tools for development teams. allmysms is a full-featured multi-lingual text messaging platform for marketing and transactional use. WebinarNinja 5.0 is an all-in-one, easy-to-use webinar software that has been created to allow hosts to focus on the content of the webinar and not the technology. WhatConverts shows you “What Marketing Converts” through form submissions, e-commerce orders, web chats, and call tracking. ClickUp is an intuitive project management software. Fleep is a collaboration software for your team. LeadsBridge is a marketing tool that automatically syncs leads from your lead generation tools, such as Facebook Lead Ads, straight to your CRM. SnapApp helps marketers obtain the leads that sales wants. Boleto Simples is the perfect system to issue, register, and manage boletos, the main payment method in Brazil. Caspio is the leading cloud platform for building custom business applications without coding. Heymarket is a business messaging solution that provides shared inboxes for text and Facebook messaging with customers, contractors, or partners. Freeform is the most intuitive and powerful form building plugin for Craft CMS and ExpressionEngine CMS. FreshBooks is the #1 accounting software in the cloud designed exclusively for self-employed professionals and their teams. Short.cm allows you to create short links using your own domain. DeskMoz is a leading live chat support and lead generation service provider. Salesflare is a simple and powerful CRM for small businesses. Cognito Forms makes it easy to build powerful forms that help you get real work done. Ninja Forms is the ultimate FREE form creation tool for WordPress. Alegra is a cloud-based accounting software that simplifies administrative processes for small businesses and entrepreneurs. Twist is the most effective collaboration tool for remote teams. FacturaDirecta is an easy and intuitive invoicing software in the cloud. Sakari is a cloud-based messaging platform built to support your business. NetHunt is a Gmail CRM, which lets you manage your business without leaving the Gmail inbox. FormKeep is the premier forms backend service and is perfect for businesses that collect information from site visitors but don’t want to hassle with a database. Better Proposals is an online proposal software designed with success and efficiency in mind. PDFfiller is an online PDF editor, document generator, e-signature manager, and form-building solution. Buffer is an intuitive, streamlined social media management platform. Feeider is a feedback application that creates relationships with your customers by offering them a top-notch feedback experience. NiftyImages is a content creation platform that allows clients to use any email service provider to deliver personalized content, animated countdown timers or live updating images. CallHub is an Easy to use Voice & Texting service offering outbound call center software with automated dialers to suit your needs. TimeCamp is a work time tracking tool designed to monitor and optimize the efficiency of your work. LiveChat is a premium live chat solution that allows you to communicate with your visitors on your website. Forms On Fire is a cloud-based forms automation solution for data collection and workflow task management. Fyrebox helps you create customized quizzes to capture leads. NeverBounce is an email verification platform that is trusted by over 85,000 users to verify email data. Rebrandly provides the easiest way to create, share, and manage branded links. Handwrytten is a platform for sending personalized, quality notes and cards directly to the recipient. SMSFactor is an online platform that allows its users to send professional SMS to their customers, prospects, or patients. Reckon One is online accounting that can help provide clarity on your business’ income and expenses, send invoices, pay employees and more – from wherever you are. Invoice Ninja was built to serve freelancers and businesses with a complete suite of invoicing, proposals, payment tools, and time-tracking apps to advance business. Image Relay is a digital asset management system designed with the user’s time in mind. FileCloud is an all-in-one enterprise file sharing and sync solution that enables remote access, secure file sharing, and collaboration. WordHerd provides full-service website migration services to move website data from any CMS platform into WordPress. YouCanBook.me is a booking platform that allows customer bookings straight into the calendar, and integrates seamlessly with Google and iCloud Calendar. Dotcom-Monitor provides powerful monitoring and load testing from a single solution. Paymo is an online project management software dedicated to freelancers and SMBs. Avaza is an all-in-one professional services automation tool that seamlessly combines resource scheduling, time tracking, expense reporting, quoting, and invoicing with project management. Surveypal is an all-in-one Feedback Management Platform for enterprise users. Unbounce helps marketers and digital agencies increase website and campaign conversions. SurveySparrow is an online survey software that lets you turn your surveys into meaningful conversations. MeisterTask is an intuitive, cloud-based task management tool for agile teams. Pipedrive is a sales-management tool designed to help salespeople get more organized. Livestorm help companies make their webinars more efficient with advanced analytics, segmentation, and lead management tools. Sendible is a social media management tool that helps agencies and companies boost their productivity on social media. WisePops helps marketers build intelligent website popups and exit popups. Increase email signups and conversions. ScheduleOnce is a powerful meeting and appointment scheduler that works in tandem with your personal calendar and makes it easy to schedule customer appointments, group meetings and one on one meetings. Zenkit is a highly customizable relational database for project management, ERP, CRM, help desks, support and ticket systems, personal planning, and HR. nocrm.io is lead management software focused on helping you track and close deals without spending hours filling out forms. Tatango provides easy-to-use mobile messaging software and industry expertise to digital marketing agencies. Reduce costs, increase project visibility, and stay on budget with timesheets that drive performance. Thankster allows users to send authentic handwritten cards via postal mail automatically! Thankster is a great marketing tool that integrates with your favorite marketing automation and CRM systems. Marketers use Eventable to drive action. Eventable has enabled over 7,000 brands to tap into calendars (Google, Outlook, iOS, etc.) as a marketing channel. Designed by form conversion experts, all of Leadformly's templates incorporate best practices that we’ve found increase form conversions. LiveAgent is the most reviewed and #1 rated help desk software for SMB in 2017. Collect and curate your most valuable digital content. Display your social wall on any website or display to engage audiences and drive sales. With Litmus, you can test your email in over 70 apps and devices with just one click. ProjectManager.com lets you create project plans, manage team workload, and monitor projects in real-time from any platform. Magento is a feature-rich eCommerce platform built on open-source technology. Pipeliner Sales is the developer of Pipeliner CRM, the first CRM designed to actually empower sales professionals. It is Instant Intelligence, Visualized! myphoner is a fresh new take on software dedicated to cold calling and following up on prospects. Its intuitive interface will make you smile. Make running your business easier. Accelo connects all the moving parts of your business, from prospect to close, in one simple platform. txtsignal is a US top-rated text message marketing and communication platform that builds an audience and enables 100% compliant text messaging campaigns. CallRail is a phone call tracking and analytics platform businesses use to understand which marketing campaigns drive leads and conversions. Brandpoint provides comprehensive content strategy solutions and creates, designs and delivers custom, high quality content in your voice for your audience. Teamleader brings CRM, project management and invoicing together with an intuitive software solution. amoCRM’s easy-to-love interface streamlines sales intuitively by reducing data entry, centralizing vital information and automating sales workflows. Woodpecker is a cold email and follow-up app that sends out emails straight from your mailbox as if you were sending them manually. Enthusem is an offline to online marketing tool that automates direct mail, personalized at scale, integrated with dynamic and trackable online experiences. Access the full library of Shutterstock images from right in SharpSpring – more than 100 million choices. Advertise locally and attract customers with the products they're searching for. Get your pay-per-click ad on Google today with AdWords. WordPress started as just a blogging system, but it has evolved to be used as full content management system and so much more through its thousands of plugins, widgets and themes. The world’s #1 CRM platform. Salesforce is accessible to employees entirely over the Internet — there’s no infrastructure to buy, set up, or manage — you just log in and get to work. Weebly is a web-hosting service featuring a drag-and-drop website builder that uses a simple widget-based site builder that operates in the web browser. SurveyMonkey provides free, customizable surveys, as well as a suite of paid back-end programs that include data analysis, sample selection, bias elimination, and data representation tools. Zoho CRM gives you a 360-degree view of your complete sales cycle and pipeline and can help you identify trends, spot opportunities, increase efficiency, and reduce costs. Shopify is a e-commerce company that allows merchants to manage every aspect of their business — from products, orders, and customers to selling online, in retail stores, and on the go. It's never been easier to sell online. Squarespace lets you easily create a fully integrated ecommerce website and accept payments instantly. Cisco WebEx provides on-demand collaboration, online meeting, web conferencing and videoconferencing applications. Eventbrite is a global marketplace for live experiences that allows people to find and create events. The platform allows event organizers to plan, promote, and sell tickets to events and publish them across social networks. GoToMeeting ensures all your meetings are easy to start and easy to join, with the simplest interface. Whether it's sales demos, external presentations, collaborative or ad hoc meetings - GoToMeeting lets your best work shine through. Citrix GoToWebinar makes communication with prospects, employees, partners and customers easier and more efficient than any webinar product available today. Wufoo is an online form builder used to create contact forms, online payments, online surveys, event registrations, and more. It allows people without a coding background to build their own forms and surveys. SurveyGizmo is an online survey tool with in-depth functionality that lets you accomplish complex actions while making survey logic easy. Bigcommerce develops e-commerce software for businesses with a focus on secure hosting and visitor conversion. A true all-in-one ecommerce platform with the power to grow your business & help you sell more. JotForm was developed mainly for webmasters and web designers, but anybody with an Internet connection can use it now. JotForm is WYSIWYG, so you can still make web forms without any web design or HTML experience. Formstack is an online form builder that enables users to create any type of online form, including surveys, contact forms, event registrations and order forms. Users can then integrate the forms into their websites and begin collecting data. Gravity Forms is a form builder tailored to WordPress websites. It allows users to quickly and easily integrate with a variety of third party services such as PayPal and provides for even deeper integration with WordPress through its collection of optional add-ons. Reduce chaos and bring order to your support process with a robust support ticket system, self-service knowledge base and community forums. Bring email, web, chat and phone requests together painlessly. Base is the industry’s first Intelligent Sales Productivity Platform. Base leverages big data, mobility and real-time computing to help sales teams close more deals faster, while providing sales leaders with unprecedented visibility into the sales pipeline and forecast.